Adrienne Clarkson. In 2009 became the first Canadian governor-general of Chinese heritage, and the second woman to hold the post. Dr. Irene Ayako Uchida. One of the first Canadian scientists to specialize in cytogenentics, she earned international recognition for her studies of the effect of radiation on human chromosomes. Nina Grewal. First South Asian woman elected to the House of Commons, in 2004. Currently the MP for Fleetwood-Port Kells (B.C.). Deepta Mehta. Talented filmmaker whose film Water received an Oscar nomination. Shushma Datt. A pioneer in the Canadian broadcasting industry, and the first Indo Canadian in the field. 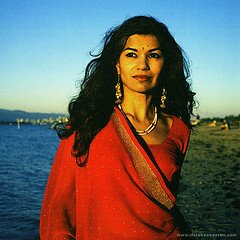 Hosts Women in Focus, profiling women in the South Asian community, on OMNI BC. Bageshree Vaze. 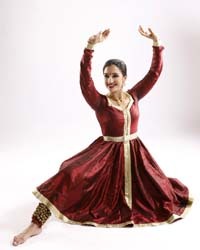 Successful Indo Canadian musician, dancer, and choregrapher. Elaine Chan. Founded the Chinese Academy in Calgary to help Alberta's Chinese youth. Vivienne Poy. First Canadian senator of Asian ancestry. Belle Puri. Notable Indo Canadian television journalist. Leena Manro. Actress and writer with Bollywood Shenanigans, lawyer. Sandra Oh. An award-winning Canadian actress (Dr. Cristina Yang on Grey's Anatomy) of Korean descent. * This woman is featured in the book 100 Canadian Heroines: Famous and Forgotten Faces. ** This woman is featured in the book 100 More Canadian Heroines: Famous and Forgotten Faces. Green Party leader Elizabeth May made history in Canada's general election on May 2, 2011, becoming the first member of her party to be elected to the House of Commons. 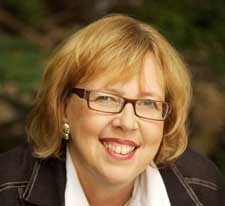 Watch the Elizabeth May Song on YouTube. Women in Prince Edward Island won the right to vote in provincial elections and run for office. Katherine Maud MacDonald became the first Canadian nursing sister to die in action. She was serving in Brittany when the area was bombed by German aircraft. 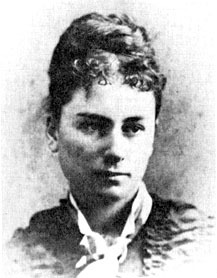 Grace Annie Lockhart graduated from Mount Allison University, becoming the first woman in the British Empire to earn a university degree. The Dionne Quintuplets were born in Callandar, Ontario. Annette, Emilie, Yvonne, Cecile and Marie were identical, and the sisters became world-famous as the first quints to survive more than a few days. 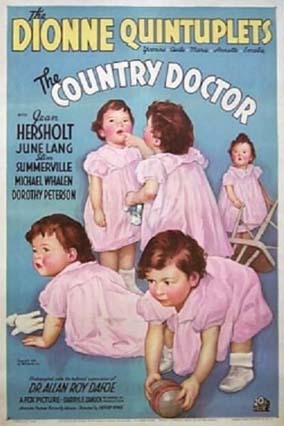 Ad for a film called The Country Doctor (1936) about the doctor who delivered the quints and was later charged with exploiting them. Copyright © 2004-2016 Merna M. Forster. All rights reserved.